Another day, another building guide! We'll be helping you out as per usual with a full walkthrough of all the building needs for both the three games and the Frontier Torch, the associated build that comes along with them. 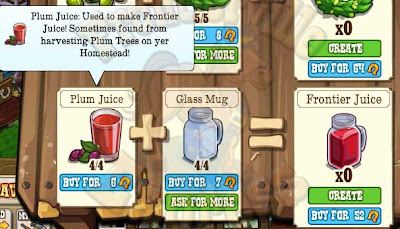 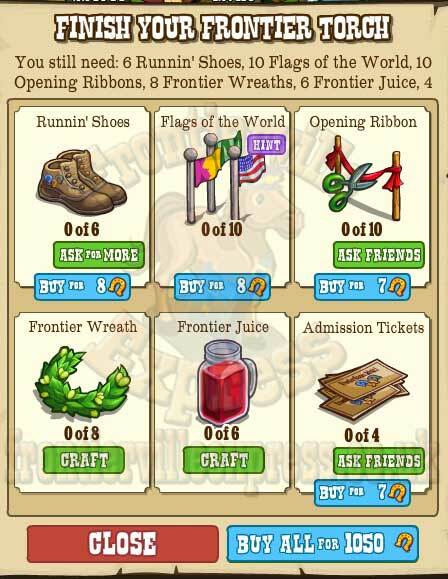 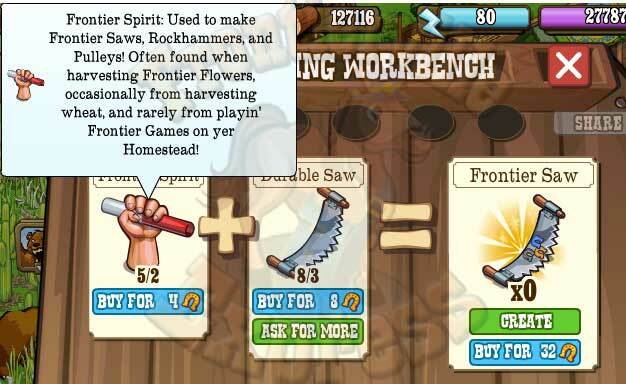 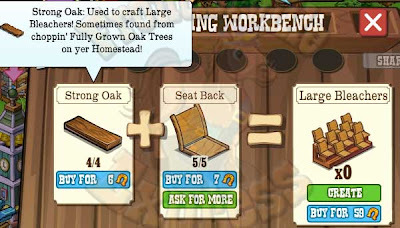 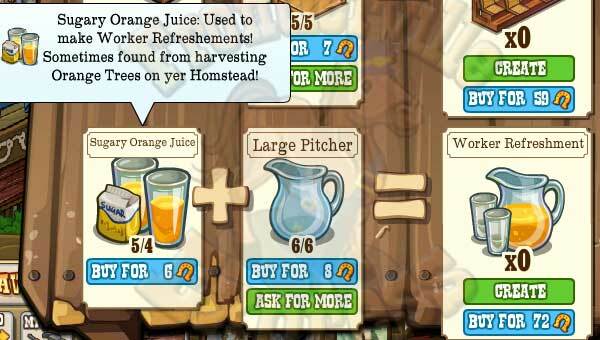 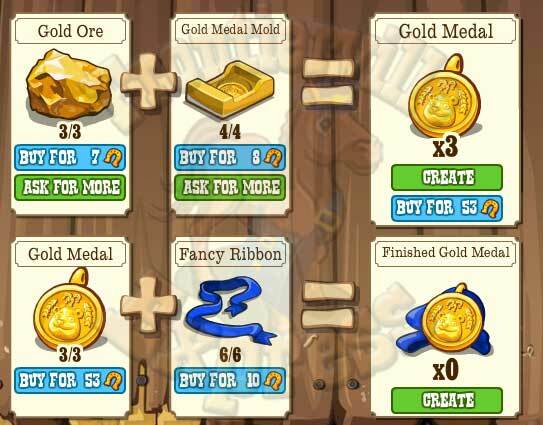 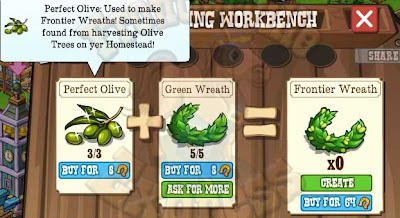 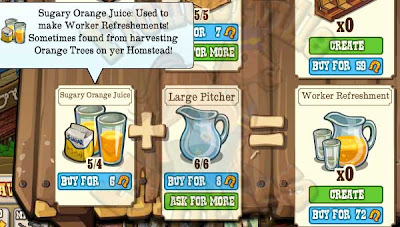 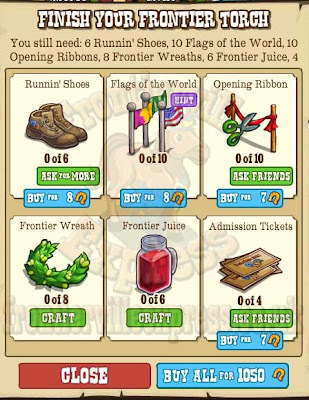 First up we'll cover the three different items needed for the three different Frontier Games, all of them need one item the same that drops from homestead goodies and one individual item. 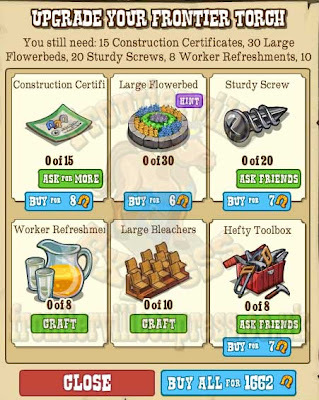 Then we'll cover the Building. 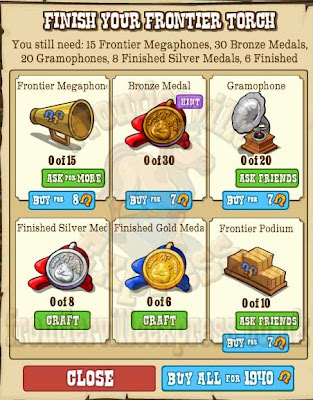 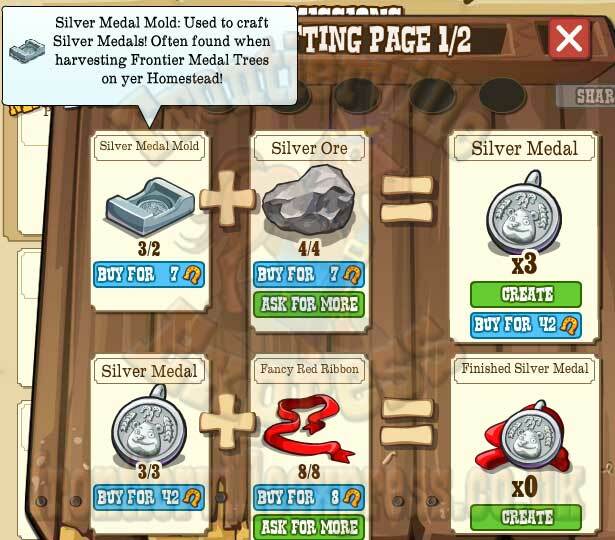 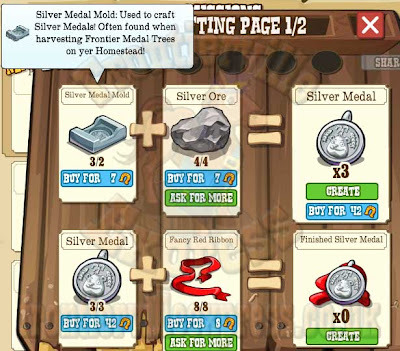 Each Finished Silver Medal requires 6 Silver Medal Molds (Frontier Medal Trees), 12 Silver Ore (Requested) and 8 Fancy Red Ribbons (Requested).